US Event Structures utilizes only the finest quality tents to produce flawless events. US Event Structures delivers first-class customer service, from start to finish on every project. US Event Structures combines the latest technology and customization to create the best structure for every event. Transform an outdoor space into an elegant setting for your one-of-a-kind event. Create a functional space for your large corporate event that your attendees won’t soon forget. Celebrate on-campus or off in a space that embodies your school’s spirit. Give your guests a grand experience with tents for sporting events. Curious about how our structure tents are installed? 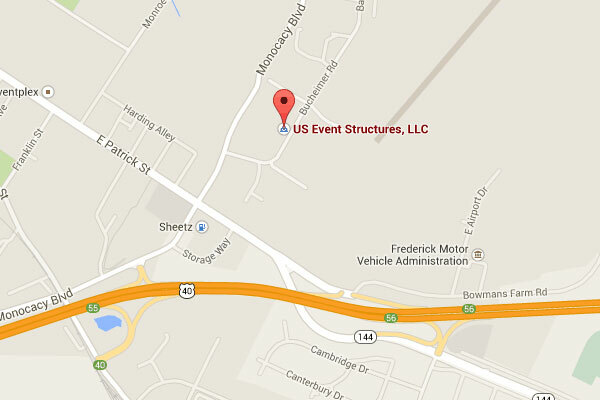 Watch this time-lapse video of a corporate event installation in Rockville, MD. Whether you need a tent for a sporting event, a corporate event, or a social event, US Event Structures has the clear span structures to meet your event needs. A small tented space still creates a big impact and delivers on the client's goals. Elegance was key for the 2017 National Symphony Orchestra's Season Opening Gala. For the Bold campaign is the most ambitious fundraising effort in the university's 323-year history. Custom-designed entry creates a sense of arrival at German ambassador's residence. The Kennedy Center commemorates their 50th anniversary with a groundbreaking ceremony for its expansion project.